Next up was a meeting with the science writer who works with the astrophysics group at Goddard. He prepares the press releases that come out of the research and missions that are happening, and writes about any papers that have come out of the research groups. It was interesting to talk to someone with a journalism background, and find out what it was like to work in the environment that requires you to almost be writing ahead of yourself keeping on top of the latest news. The releases are all for the public, which means that the science has to be accessible and understandable for anyone who is interested in the story. I picked up a lot of tips, and can’t wait to put them into practice in my next article! Before I flew out to DC, I was asked to do a bit of research on all the different missions currently underway at Goddard, and make a list of things I would like to see. 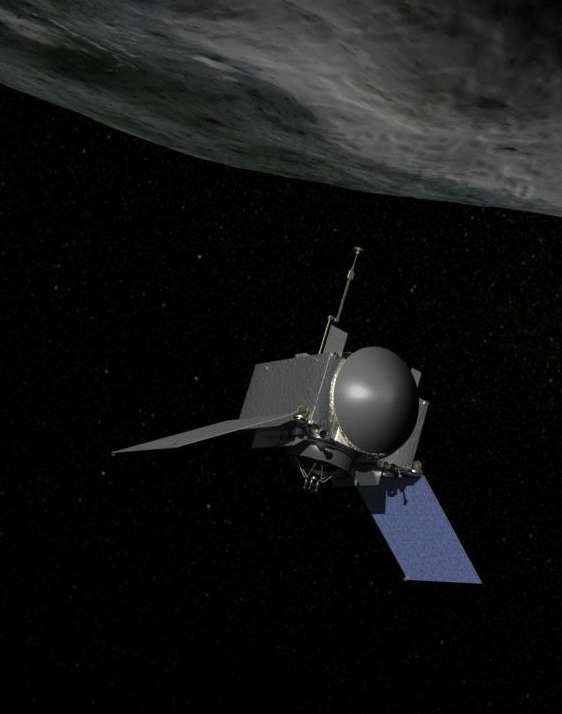 After a bit of digging, I found the mother of all robotics missions – OSIRIS-REx. This is a sample return mission to an asteroid which has a high chance of colliding with Earth in 2182, Asteroid Bennu. I was lucky enough to be able to meet up with one of the systems engineers on the mission, and get an overview of what stage the project is at and what the next steps are. Something new I learned was about the Yarkovsky Effect (my new favorite thing), which is the subtle effect that photons and their change of momentum when they are absorbed or deflected by the surface of the asteroid, have on the orbit and trajectory of the asteroid over time. What the scientists learn about this from the mission to Bennu will have huge implications for predicting the change in trajectory of asteroids that are potentially Earth bound. You can find the mission website here, and I decided to write about OSIRIS-REx for Blueshift post, here is my blog post! Walking through the corridors of building 34, we went on a hunt for people I could ‘talk British’ with (I love how social and friendly Goddard is). This ended in me meeting some amazing scientists and engineers, and being shown around one of the labs where some of the Astro-H mission instruments are being developed. 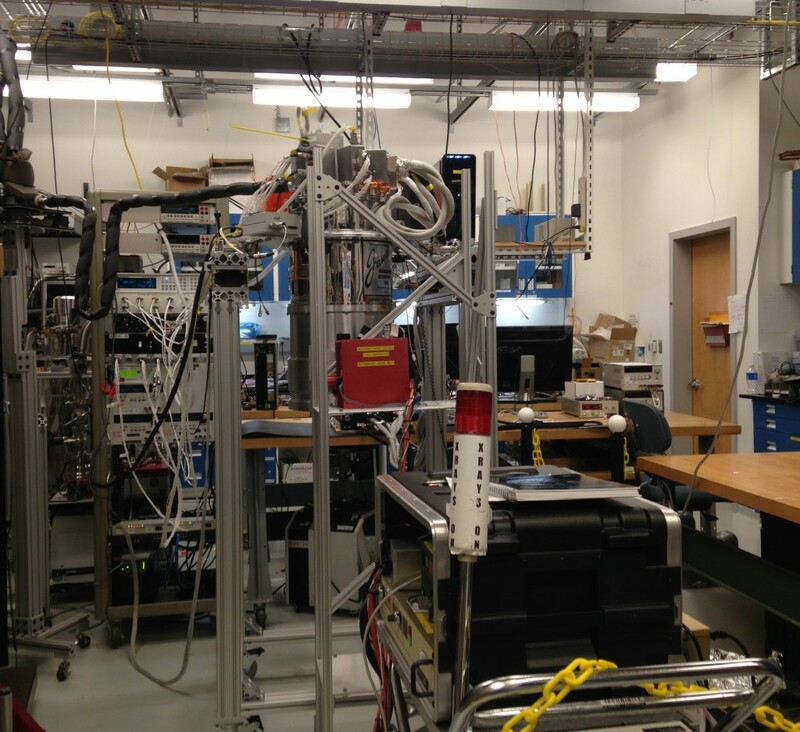 The labs were exactly as I hoped they would be, with wires and bits of hardware in every direction and on every surface, with humming noises coming from the pipes that were cooling sensors for the x-ray calorimeter spectrometer to measure the energy of x-ray photons. Such a great day!